With the Libyan uprising still in full swing, earlier this week we looked at some of the trusted places people could go to get reliable coverage of events as they unfolded. Whilst some of these were the usual news outlets, such as Reuters and the BBC, there was also a plethora of citizens on the ground reporting what they saw as it happened. It’s political and social events such as this that help to demonstrate how citizen journalism has really come to the fore, and it’s something traditional media outlets can’t compete with given that have-a-go hacks are normally at the scene of a story before it even happens. We’ve previously written about how new media is creating a new style of journalism, and we’ve even compiled lists of apps that can help citizen journalists on the move. But here, we’ll look at some of the top websites and blogs out there that help give citizen journalists a voice. Launched in 2009, London-based Demotix is an open newswire aimed at anyone from freelance professional journalists to amateur hacks. You can upload text, pictures and videos, and the content is shared with over 200 media organizations around the world. Whilst the platform is great for budding reporters to get their news out there, Demotix also actively targets media buyers, so there’s real potential for your snaps and videos to be licensed to mainstream media outlets. Stories can be uploaded via the website, FTP, email, MMS or the Demotix’ Desktop Uploader. 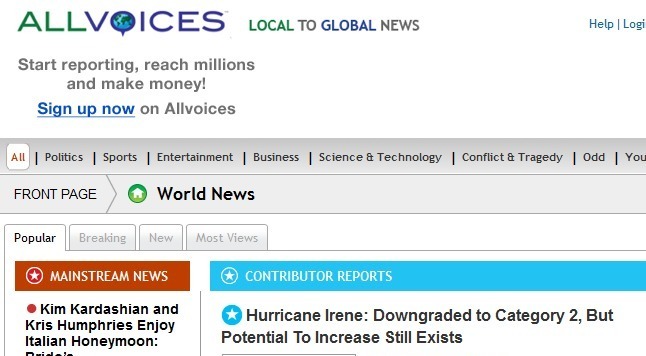 Allvoices is a US-based citizen media website that has been on the go for over three years now. It’s pretty high-traffic, and the user-generated news website is a very good platform for citizen hacks from across the world to share what’s happening where they are. As with other CJ platforms, you can share news stories, videos and images and the community can search both by category (e.g. politics, sport, business) and location. 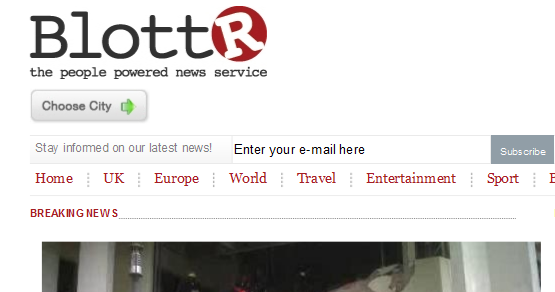 Blottr was launched in September 2010. It’s currently aimed at breaking news in six UK cities: Bristol, Birmingham, London, Leeds, Edinburgh and Manchester, but it’s soon to be rolled out across key parts of Europe too. It’s slightly different to other citizen journalist websites in that users can collaborate on news stories. 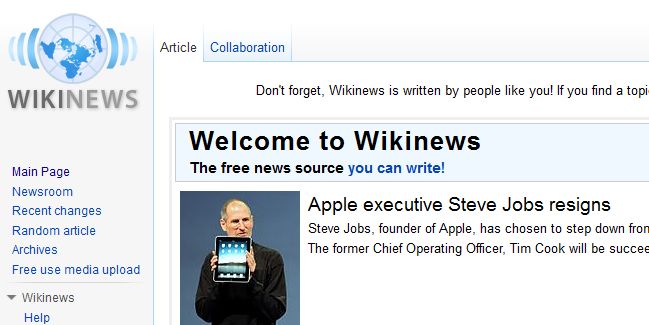 Think of Wikipedia – multiple users can access the same story, each adding and tweaking it as a story unfolds. And back in June, Blottr opened up its technology – branded as NewsPoint – to external publishers, enabling user-generated content on any blog or website. The recent London riots was a good example of how citizen journalism can bring stories to the masses quickly, as Blottr was one of the first news sites to publish content on riots in Ealing (London) and Salford (Manchester). Blottr has almost 1.5m unique visitors a month, and it now has over 60,000 registered users, around 700 of whom are active contributors. There’s also an iPhone app, and an Android one is on the way. 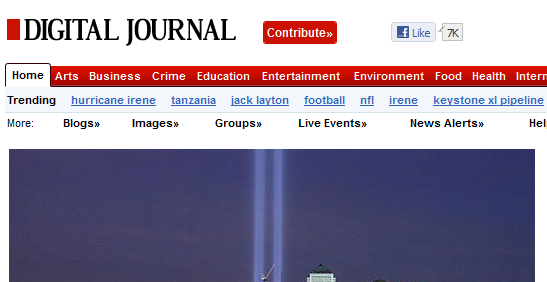 CNN iReport is probably about as mainstream a platform as citizen journalists can access. It’s a community that enables news reporting from different angles and lets users share and discuss stories. Although it’s a CNN platform, the stories aren’t edited, fact-checked or even screened prior to being published. The beauty of iReport is citizen journalists have a genuine platform for making it into the mainstream media, as CNN producers do monitor the content and if something is unique or compelling enough, it can make it onto CNN. These stories are marked ‘CNN iReport’. Now Public has 5 million monthly readers, and its content covers everything from technology and environment, to health and sports. Articles are written based on the ‘trending issues of the day’, by contributors who add in background information, photos and videos. Contributions come in from citizen hacks in over 160 countries. It’s a pretty straight forward tool to use, but new users’ first posts are monitored for quality and to ensure it’s not spam. All subsequent posts should go live as soon as you publish, and the people behind it will advise if there are any issues with the content. 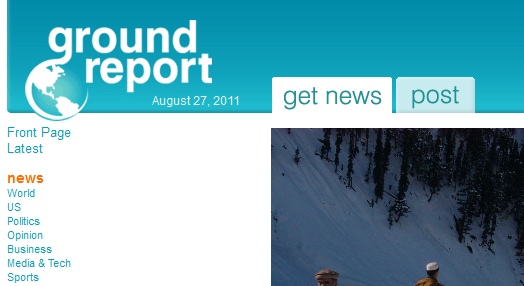 Launched in 2006, GroundReport is a platform for citizen journalists around the world to report on global events, and users can submit articles, photos or videos of news events which are vetted by its Editors before publication. However, those with a ‘Verified’ status can jump the submission queue and publish instantly. The New York based company operates a Wikipedia-style model, with volunteer editors and feedback provided by the community. Ground Report’s founder, Rachel Sterne, was named as one of America’s most promising social entrepreneurs in 2009. As with Wikipedia, Wikinews is all about the ‘neutral’ point of view policy, which is in contrast to other citizen journalist websites which include opinion-led editorial. If you’ve ever contributed to Wikipedia, the Wikinews interface will be familiar to you and it works in pretty much the same way. 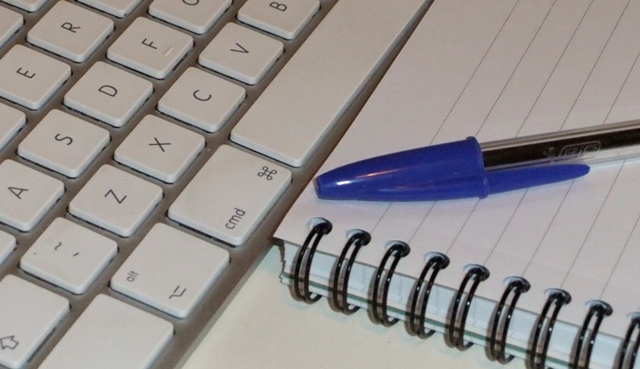 Digital Journal began as a technology news portal back in 1998, and in 2006 it started paying writers to contribute news from around the world. It shares its revenue with the writers, and the user-generated news site has contributors from over 170 countries around the world. So, how do you get paid? Digital Journal shares a portion of its advertising revenue with all its contributors through what it calls its “moneypot”. The cash pool grows, and every journalist can compete for their share – simply put, the more you contribute, the more you can earn. To get started, you set up a free account and start writing news articles, upload images, embed videos…you know the drill. Newsvine is a collaborative news website, owned by msnbc.com. It draws content from its users, as well as syndicated content from mainstream outlets such as The Associated Press. Users can write articles, link to external content, and discuss news items submitted by professional and citizen journalists. Newsvine was voted one of the top 50 websites by Time in 2007, and the basic concept behind it can perhaps best be described as Digg meets Demotix. Users can plant “seeds” on the vine, which are links to stories from around the Web, and post comments next to it with a view to kick-starting a discussion. You can also tailor the page to your preferences, by adding RSS feeds and moving boxes around. News Participation is a fairly new online community aimed at citizen journalists. Whilst it’s designed as a platform for amateur hacks to post news and commentary, it’s also trying to grow itself as a platform for discussion about posted works and the topics within. However, there’s not too much of a community feel as of yet but hopefully this will grow over time as the site grows its userbase. All you need to do is register, or you can log-in using your Facebook credentials, and upload your images, videos and text. Pretty straight forward. Spot.us is an interesting concept, and it’s different from other citizen journalism platforms in that, well, strictly speaking it’s not really a citizen journalism website. It’s a non-profit project that enables the public to commission journalists to report on issues they feel are being ignored – so it’s more akin to citizen-funded journalism for the local community. All contributions made by a community are tax deductible, and Spot.us partners with media outlets to distribute content. Are you a citizen journalist? What’s your favourite platform? Let us know in the comments below.